Pre-built automated marketing campaigns for the entire user lifecycle, from acquisition and activation to retention and revenue. Clever Campaigns are designed to run across the entire user journey to onboard new users, engage and retain active users, and win back dormant users. Send welcome campaigns to first-time app users for successful onboarding. Drive conversions, target inactive or power users, and prompt app version upgrades. Re-engage inactive users or reach out to those who have uninstalled your app. Show an in-app message to new users and help them quickly experience your app’s value. Then follow up with a personalized email. Help build new user habits in the critical first 7 days after download by reminding users to launch the app and complete a key action. Send reminder notifications to keep users engaged. 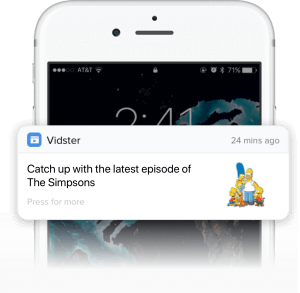 Proactively prevent churn with notifications your users are most likely to respond to. Prompt users to upgrade to the latest version of your app. This campaign is automatically triggered when CleverTap detects a new app version. This campaign sends a push notification to regular users who haven’t opened the app for longer than twice their usual frequency. Reach out to churned users to find out why and win them back. Sometimes a personalized email is all it takes to drive re-installs. Run effective engagement campaigns right out of the box. Just personalize your message, and they’re set to run. Choose the optimal channel for your campaign: email, push, and in-app notifications. Automatically deliver the right message to the right user at the right time. 97% of apps are abandoned within 30 days of install. Improve user engagement and become a part of the top 3%. Using Robert B. Cialdini’s 6 principles of influence, you can motivate your customers to use your app more. It’s all about responsibly utilizing marketing psychology to increase engagement with your brand. When paired with push, emojis are proven to improve click-through rates by 124%, boost conversions by 9%, and increase day 2 retention by 28%.